I am Dr. Ebru from drebru.com (aka ChicScience). I am very honored to be invited by Sara to write this guest post for you from Atlanta today! During the day, I am a molecular immunologist and as someone said “Scientific truth isn’t final, but constantly evolving.” The science of makeup and skincare products is constantly evolving as well. Thus, in my free time I love to share my passion and knowledge for beauty combined with science at my blog and here with you today. 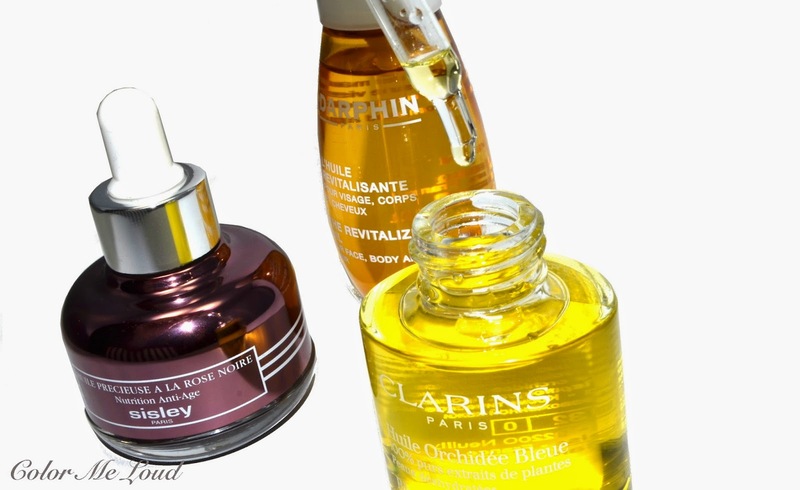 Facial oils are part of the evolving skincare products and gaining popularity fast. I am very happy to be given the chance to write about the ins and outs of facial oils today. Skin care trend: What are Facial Oils, really? Face or facial oils have become one of the key products in our beauty regimen. It could sound weird to some to apply “oil” to our faces, when we are trying to prevent oiliness (especially those of us with oily complexions). The new developments in the skincare area shed light on our complexion and oils. Our face does need oil. Our face oil, or in other words, sebum is composed of fatty acids that are also the building blocks of any natural oil. Balanced sebum means healthy skin, less irritation or even breakouts. Disturbance in the sebum production could lead to even severe acne. Facial oils with hydrating, anti-aging, soothing, revitalizing new formulas can revive our complexion and provide a healthy glow. They emerged around 2010-2011 and now we can see several different versions of Facial Oils nearly in every beauty store. My personal preference is a facial oil that would be absorbed fast. The size of the individual oil molecule is important to determine the speed of penetration to the skin. Low molecular weight oils would be absorbed much easier through the outer layer of the skin compared to heavier or synthetic oils. The smaller and more lipophilic the molecule, the faster it passes down the follicular and sebaceous ducts in the skin, The faster it will be absorbed by the skin, the quicker you will see a more nourished and revitalized skin. What does lipophilic mean and which oils have a small molecular size? Oil loves oil, which means it is lipophilic. Certain oils resemble the oils on the skin and our skin welcomes them. Plant oils like jojoba oil has a structure that is similar to skin sebum and it is used in most facial oil formulas. Plant oils harvested from fruits, seeds, flowers or leaves have a very fine molecular structure that enables their quick absorbance by the skin. This makes them ideal ingredients for good quality facial oils. Who can use facial oils? Answer is simple: Everyone. Even ones with oily complexions. People with oily skin may be worried about increased greasiness, blocked pores or breakouts with Facial Oil use. Interestingly, facial oils can balance the sebum production, which can decrease formation of breakouts. If the natural oil balance of the skin is disturbed with excess cleansing, sebaceous glands start to produce more oil trying to replace the loss. Excess sebum can lead to unwanted breakouts or irritation. A layer of easily absorbed plant oils on your skin could trick your sebaceous glands to switch off. Result: No more oil production, because the skin already has some. If you have dry skin, Facial Oils are definitely for you. They can hydrate and soften your skin while helping you get rid of flakiness and dull appearance. How do we use Facial Oils? You can use couple drops of the oil straight on your skin and massage it gently after your cleansing, toning routine. If you have really dry skin, apply the oil when your face is damp to boost the moisture. You can mix your Facial Oil with your serum or night cream to enhance the benefits. You can even cleanse your makeup or your face with facial oils. Such a multi-tasking product! If you are new to facial oils, use your oil every night and do not give up. Continue at least for four weeks for the best results, since your skin goes through a renewal process every 4 to 6 weeks. In my personal experience, I notice the difference in couple days. Can I apply Baby Oil as a Facial Oil? No. Baby oil is predominantly mineral oil and it will not be absorbed by the skin. It will just sit on top of your skin feeling greasy. Instead of products with mineral oils, prefer products with plant and /or seed oils. Try to choose plant oils that are light and easily absorbed. We will discuss the plant oils in another post. 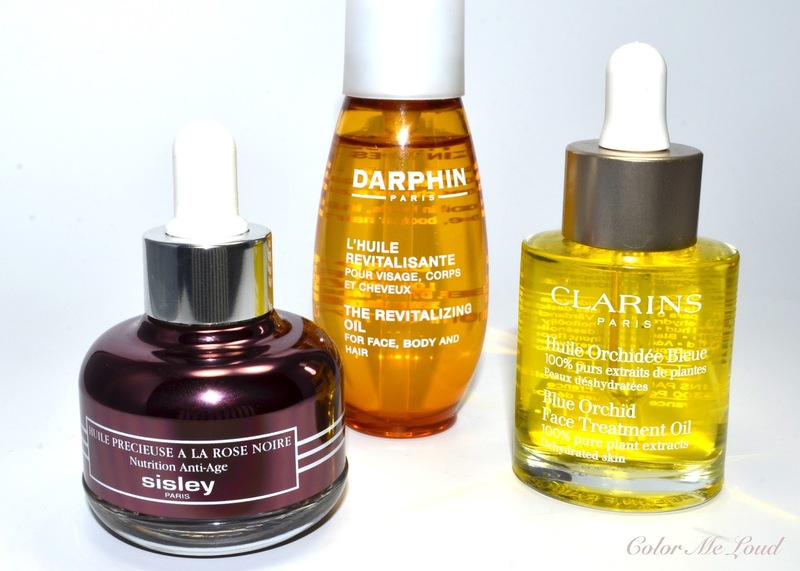 Facial oils with rejuvenating or anti-aging ingredients? Natural plant oils on the skin prevent water loss and support moisture of the skin. Plant and seed oils can provide essential nutrients such as gamma linoleic acid, Vitamin E, essential fatty acids, anti-oxidants and minerals, which are great for the elasticity and firmness of the skin. Plant oils do not possess strong anti-aging capabilities. To reduce the appearance of wrinkles and fine lines, look for facial oils that have Coenzyme Q10 (CoQ10), Vitamin C, Vitamin E, retinol or peptides. Can I only use facial oil and be done with my skin care? No. Facial oils should be used with your skin care routine that includes a cleanser, toner, serum, day/night cream and a sunscreen to keep the skin hydrated, nourished and happy. Loved this post! Very informative and easy to understand, Thanks! I've used jojoba or almond oil to remove makeup and then followed up and removed the oil with rosewater (and then applied serum and/or moisturizer) since my early 20's. Maybe I should be reapplying the jojoba to absorb based on what you write. I had no idea that jojoba was good for that reason. Since you are here on Sara's blog, I wanted to ask you a question. Recently, I began to use a retinoid eye cream for dark circles (Verso) and so I am trying to make sure to use sunscreen-- but what sunscreen is suitable for the eye area-- and where should it be applied? Thank you soooo much for this informative post, Dr Ebru!! I have several facial oils, but never really got around to integrating them into my daily routine. Now I've got to! I didn't know you were a molecular immunologist... that's so cool!! This was so interesting...thank you! Just wanted to clarify: facial oils should go on before other skin care products such as serums or creams? Thank you for the valuabe info! Yes, it does and thank you so much, Dr. Ebru. I mostly use large molecule barrier sunscreens made of zinc oxide or titanium oxide, and am fair NC 15-18 (guessing) so don't mind the white cast which absorbs quickly anyway. In the height of summer I do use Anthelios but not near the eye. By that season I would not be using anything retinoic-- I reserve that for winter. As you can see I'm a bit of a nerd too. I also use sunscreen in the undereye area-- to help minimize those dark circles. Your application instructions are very helpful. No one ever mentions the ins and outs of that. Thank you! Hi Jess. Good question! I am all for the multifunctional/multibenefit beauty products. To be honest, who has the time for a detailed routine day and night everyday? I use facial oils before creams. It depends on the serum. If it is a gel serum I would prefer to apply it first, then facial oil. 1-Cleansing: Yes you can use any facial oil for cleansing. Put couple drops on your face massage and dissolve the makeup. Then rinse. If you like put couple drops of facial oil on the cotton and wipe. Rinse. 2-Apply before the cream after the shower: Applying facial oils after the shower when your face is damp will capture the moisture on your face. Massage then apply the cream. Great night routine. 3-If your serum is gel based apply the serum- wait- then you can apply one drop of facial serum wait a little to absorb. Wait again couple minutes then apply the cream. This takes total 10-15 minutes. 4- You want to intensify your creams effect: Mix 1-2 drops of facial oil with your cream. Apply. 5- Facial oils can be used on prematurely aging hands. Show some love to those hard working hands! 6- Coloring our hair ages and stresses it. Well couple drops of your facial oil could be a nice weekend treatment. Hi there Eleni! Thank you for reading it. :) My skin is like yours that is why I am very picky about the oils used in any facial oil I use. Looks like I need to write a new post about the plant oils used in facial oils, huh? :) About the oil free statement, even an oily skin needs oil. Without the natural oil balance or stripping the skin with excess cleansing or skin care treatments makes the problem even worse. I also realized over the years, what I ate also affected my skin condition. Creams and foundations even with oils are emulsions , which means they are a combination of water phase (extracts, moisturizing agents etc) with oil phase. They are combined with emulsifiers and become all nice and fluffy creams. The right ingredient combination in creams or lotions is the key for oily skins. And yes a bad ingredient composition of a cream would be sometimes worse than a pure oil. Nerds rock :)! LOL, well for suncreens I love ELTA MD but my favorite is Shiseido Urban Environment Oil-Free UV Protector Broad Spectrum SPF 42 For Face. It is light and easy to apply. Ingredients are nice. I am glad to share the details. You are right it is like a secrecy in skin care industry. As a scientist I love transparency in application, and ingredients. I think it is important. Howdy, thank you for this informative article, it has come at the perfect time for me. I was given two small samples of Clarins Double Serum and it seems quite nice. Just curious as to whether you have tried it and what your thoughts were? The ingredients sound quite impressive, 20 plant extracts! I usually mix cream with oil but if I don't I'd put cream first and than oil. Don't you think it makes more sense given the size of molecules? Thanks for this article. I'm a huge oil enthusiast myself. I'm lucky enough to have a friend who is a huge cosmetics with MA in chemistry, so no purchase is being made before INCI analysis. It really bothers me that so many brands, from drugstore to luxurious, use word oil as a catch phrase, but what we get is a mix of paraffin and super heavy silicones with argan oil being last on the list. Another vote *against* the Double Serum. I have dry skin and this just had me walking around looking greasy. Novel, but not desirable! Thank you ChicScience. I'm early on in my oily journey but everything bar the Double Serum has been fantastic for my skin, including squalene. Will look out for camellia, jojoba and avocado too! Thank you very much! I am glad I did not buy it now. I might buy the Lotus Face Oil instead which is also half the price! Hi, thank you for replying and for rescuing my wallet! I am so glad to have received your advice as I will likely buy the Lotus Face Oil instead, It is a wake up call to me to be careful in checking ingredients and to start learning and researching before I invest in anti-aging type products. Thanks again!